The concept for the album came when Alex Lawson (daughter of Steve and Debbie Lawson) was admitted to Children’s Hospital at the age of 2, suffering from E.coli. The Lawsons were so impressed with the treatment their daughter received, along with the care they received during their family crisis that they wanted to do something in return for the hospital. The Lawsons then owned Lawson Productions; a Seattle based recording company which later became Bad Animals/Seattle. They enlisted help from an “A” list of the Seattle music world to provide contemporary Christmas music for the first and subsequent CDs. Artists have included Dave Matthews, Ann and Nancy Wilson of Heart, Kenny G, Steve Miller, David Lanz and Paul Speer, Tickle Tune Typhoon, Tim Noah, and Walt Wagner. 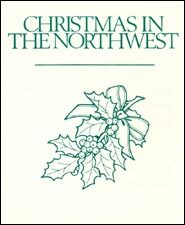 The first album launched the hit song “Christmas in the Northwest”, written and sung by Brenda Kutz. That song has become a Northwest classic. 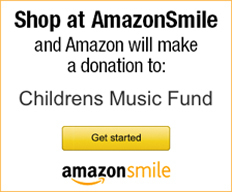 The Purpose of Children’s Music Fund, is to raise money for Northwest Children’s Hospitals so that every child has access to medical treatment, regardless of their family’s ability to afford the cost. Children’s Music Fund, Inc. is a nonprofit corporation with recognition of exemption under Section 501(c)(3) of the Internal Revenue Code.